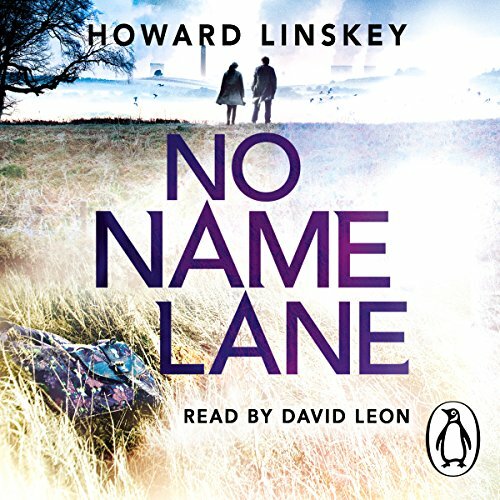 Penguin presents the unabridged downloadable audiobook edition of No Name Lane by Howard Linskey, read by David Leon. The hunt for a serial killer unearths an unsolved cold case from over 60 years ago. Young girls are being abducted and murdered in the Northeast. 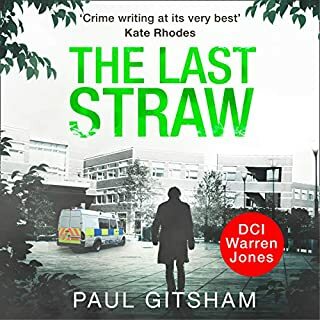 Out of favour detective constable Ian Bradshaw struggles to find any leads - and fears that the only thing this investigation will unravel is himself. Journalist Tom Carney is suspended by his London tabloid and returns to his home village in County Durham. Helen Norton is the reporter who replaced Tom on the local newspaper. Together they are drawn into a case that will change their lives forever. This book features a number of plot lines, lots of interesting characters, and twists and turns aplenty for any mystery fan. Trying to figure out "who done it" (I was wrong), getting involved in the main characters (often misfits and second-chancers) lives and troubles, and appreciating the local atmosphere and color all add up to a most satisfying story. What isn't particularly satisfying, in my opinion, is the narration. David Leon's voice is nice to listen to, and I didn't even mind that he is a traditional "reader" - one who makes no attempt at voice-changing or dramatic interpretation. What I found really difficult was his sad tendency to forge without the slightest pause through obvious switches in the narrative. The various story lines, the main characters, even the timeline changes so abruptly in Leon's reading that I found myself - even when paying close attention - confused and at a loss as to when, where, and even who we were switching to. I'm sure that, in the book, there are spaces and other indicating breaks to help the transition. Leon ignored them. I think I'll pick up a hard copy of this very good book. I bought this book on a whim for a long car trip and was not expecting much. Surprise ! I did not want to stop the story long enough to fill the gas tank. The story was well developed with multiple subplots. His characters are interesting, well developed with flaws and strengths. Like peeling an onion Howard Linskey reveals complex layers of his characters slowly. Well worth the credit and time. What does David Leon bring to the story that you wouldn’t experience if you just read the book? Terrific, understated reader. Just loved the sound of his voice and character interpretations. Very well done, and had enough plot twists to keep me guessing. Early on I thought I'd nailed the identity of the serial killer, but continued anyway because I was enjoying the writing. I was pleased to find that I was wrong. So nice when a mystery breaks the formula. Will certainly check out more from this author. Engaging narrative, excellent narrator. Will definitely look for more from this author and from narrator. No Name Lane is brilliant. What made the experience of listening to No Name Lane the most enjoyable? I enjoyed this book tremendously. The characters were fresh and vivid but also very human and believable. I also thoroughly enjoyed the narration and the authentic sounding northern accent.I have just bought another Howard Linkskey book from Audible, only wish there were several more. I have a new favourite author and series to follow,I hope Linskey is a prolific writer. What was one of the most memorable moments of No Name Lane? It was all amazing and engaging and totally held my attention for over 12 hours. Great Durham County accent and authentic pronunciation of the local speech. The pace and the rapid change of scene and characters kept me totally focused on the story as it developed. I practically did finish it in one go, it was too hard to turn off before the story ended. I'm looking forward to more books by this author, it's exciting to find a new writer with this much talent. loved it from beginning to the end hope there is a follow up book. I liked parts of this very much. But the two male protagonists were so often self-pitying, self-serving, and generally annoying that this marred my ability to engage with a surprising and interesting narrative. I have no more to say, but Audible won't allow succinct statements, so I add this: blah blah blah. Great story, but hard to tell who is speaking. No difference between female or male voices. This one starts slowly and so took time to seize my interest. However, the author comes up with a good trio of mysteries, ultimately, and sympathetic characters. Others have mentioned that the narrator seems miscast. My main difficulty was understanding his monotone while listening and exercising or working around the house. First time I've read anything by this author. A really good storyline, unfortunately it was rather spoilt by the narrator. I enjoyed the story, and David Leon's voice and accent. However, each time a narrator of the story or location changed, David Leon just read straight on with no pause. So one minute I am listening to Tom, and suddenly I am listening to Helen, or the headmaster, and this threw me time and time again. 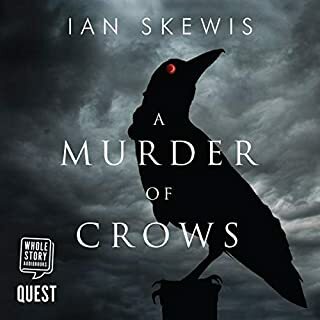 I have listened to many Audible books now, and this is the only one where I have felt I was scrambling to keep up with either who or where the story was. 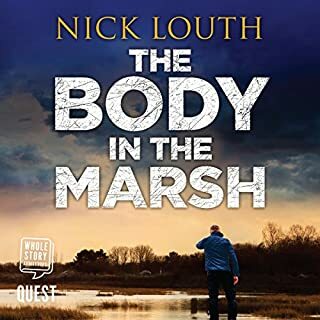 Howard Linskey has portrayed the north east countryside with great depth and the choice of David Leon for audible characterisation brings together a team that makes the book a treat. The setting of the story in a rapid socially and technologically changing 1990's allows a great comparison with the action taking place in the sub plot of the 1930's. I In this story we get at least two crimes with a political scandal thrown in. A great listen. This is a story of two unsolved crimes, committed decades apart, investigated simultaneously by a team of police officers and journalists. The search for a recently abducted young girl results in the unearthing of a skeleton that laid buried and undisturbed for a long time. The out of luck journalist, Tom Carney is back on his home ground in search of a story to get his career back on track. He relies on his advantage of knowing the local area and people to help him achieve his goal. The police are also trying to solve the crimes although they have the disadvantage of the locals being less then forthcoming with them. The struggling DC Ian Bradshaw, not having anything to loose, cooperates with Tom in order to make the most of their combined information on the current kidnapping and the cold case as well. The story-line moves smoothly between the 2 investigations and time periods. Both are well plotted with realistic characters and will keep you guessing until the end. The author did a brilliant job switching back and forth between the two eras and it's interesting to read about the differences in police procedures and perception. No Name Lane is a great novel and I'm looking forward to reading the next one in this series. Good story, spoilt by narration. Would you try another book written by Howard Linskey or narrated by David Leon? I stuck with this because the story is good. However the narration was terrible. The narrator must have been on a bonus for how quickly he could read the book. No gaps between paragraphs meant that the story was confused in places and all the voices sounded the same. I would never have another book read by this narrator. What didn’t you like about David Leon’s performance? David Leon need to find another job. As the narrator uses the same voice and intonation throughout it can be hard to follow who is talking. And the gaps between chapters are also small so there is a change in character and circumstance before your mind has a chance to catch up. Quite an interesting tale though. I, like a lot of people it seems, was slightly put off by the narrator, but after listening for an a while I was gripped. I ended up loving the narrator and his soft northern voice. 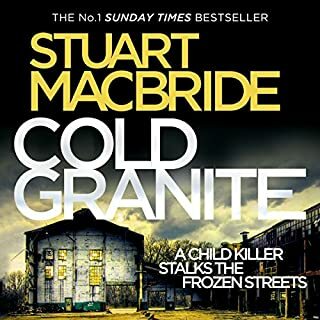 Set in the 90s made for an interesting twist on your usual crime thriller, and really made you realise how much technology has impacted our lives and how policework has changed. 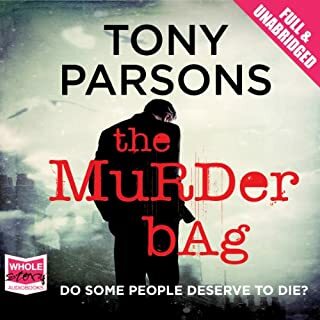 The interactions between the two reporters and DI Bradshaw made me keen to listen to the next in the series. Unsure if this was because there was no voice change in the narration or how the story was written. I was often lost, didn't know who was who. Took the enjoyment away. I found it a very confusing story and the narration was very poor and dull, it was like David Leon was bored reading it. I think I found another great crime series author! So happy to find this gem, have been looking for a good crime story for a while and this book delivers - it's full of good twists, real life like characters, believable story and a great narration. Downloaded more books of this author. Once you get use to the narrator the listener can settle in for an interesting ride. More that one storyline makes for a more satisfying experience- I liked this so much, I immediately downloaded another offering by the same author. There was one section that was overly verbose which I fast forwarded thru (a first for me) but that did not detract from the fact that this was a great read. kind of predictable but good reading. I would try another book by this author again. I found it difficult to get into the story but once I got my head around all the characters I really enjoyed it. This is a great story but the reading was terrible. The reader sounded like he was half asleep all through it - and sleep was what I wanted to do while listening to this. His words all ran together, it was difficult to understand who was saying what, and the emphasis in places was confusing or just plain missing. The story was fabulous though, so what a shame! If you can concentrate long enough and hard enough to follow what is going on it is worth the listen. I notice the following books in the series are narrated by someone else, so I will be listening to them next. If it had been the same reader though I would, sadly for the author, have to have given them a miss. A good old fashioned detective story. Great narration except for no breaks between chapters. Good stories and quite exciting at times.